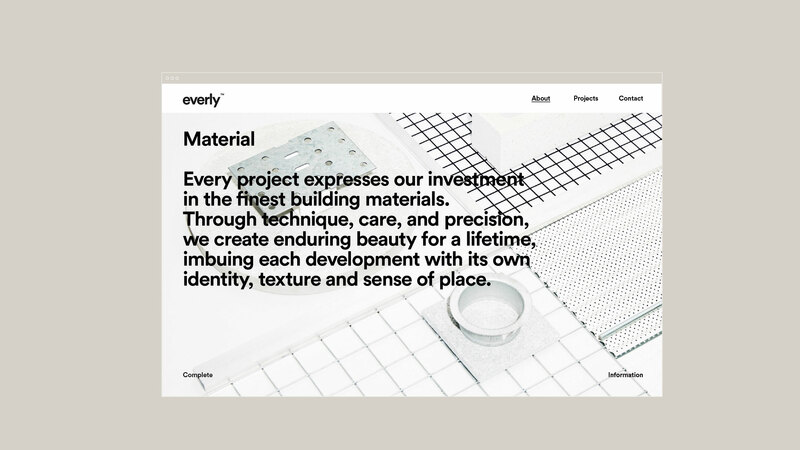 To create a brand for a new, boutique development company entering a saturated marketplace, we designed an identity for an audience that has come to expect value, sustainability and liveability as given and established a philosophy around form, material and purpose. 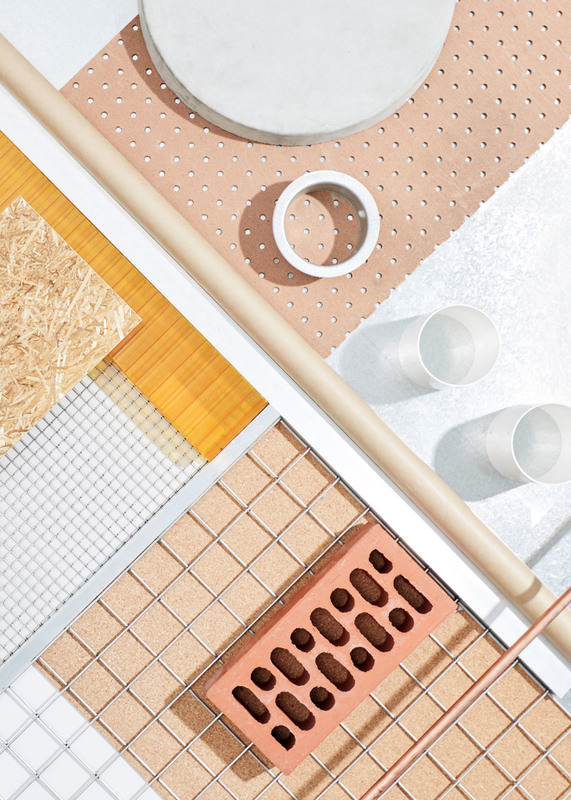 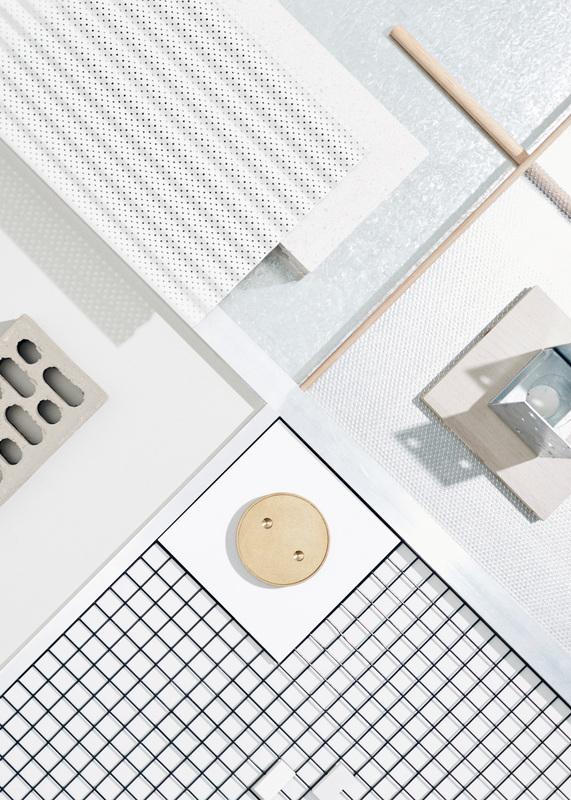 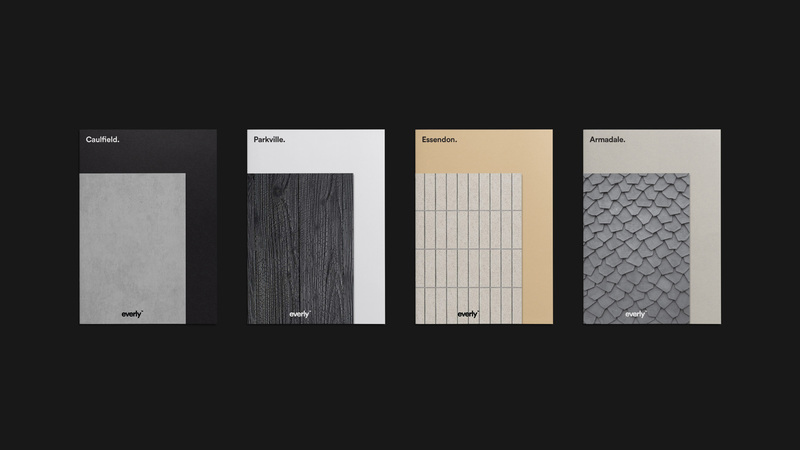 A new brand architecture allowed for flexibility with past and future projects, across a variety of mediums and price points. 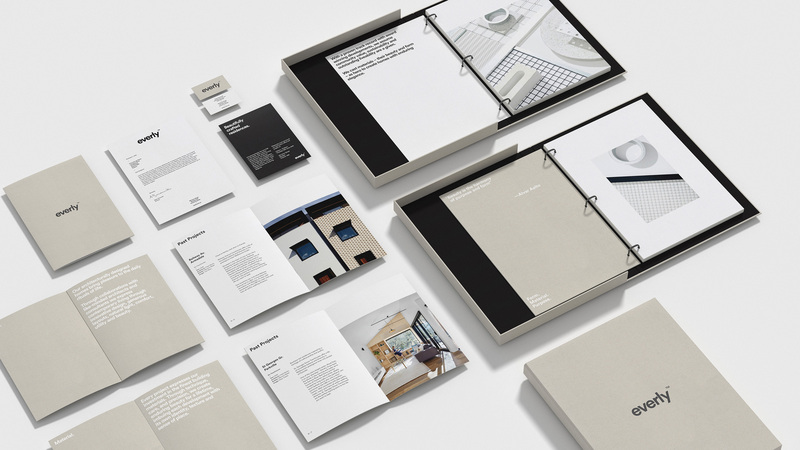 Inspired by a strong, authentic ethos, the brand itself became a minimalist logotype and austere composition that allowed the projects to speak for themselves, unhindered by excessive branding. 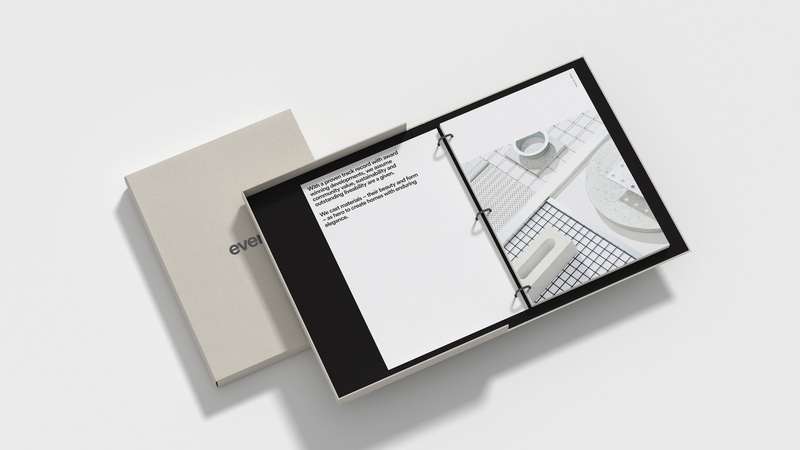 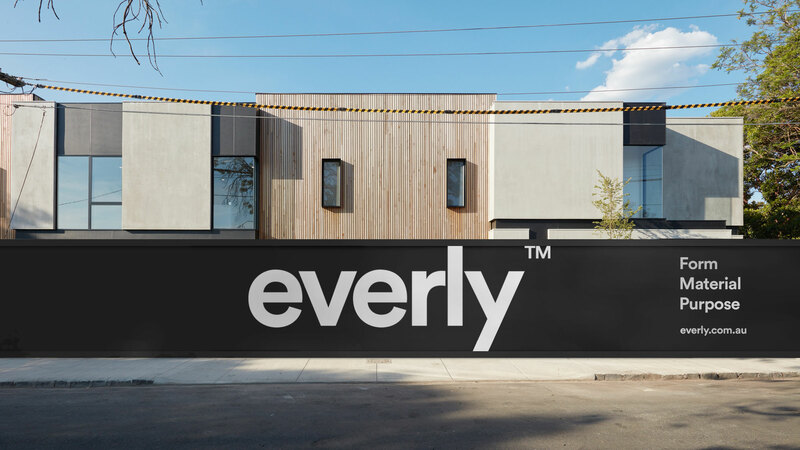 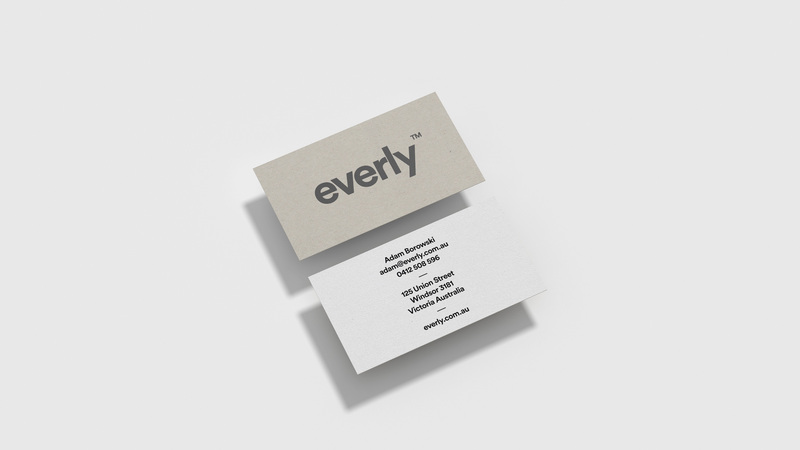 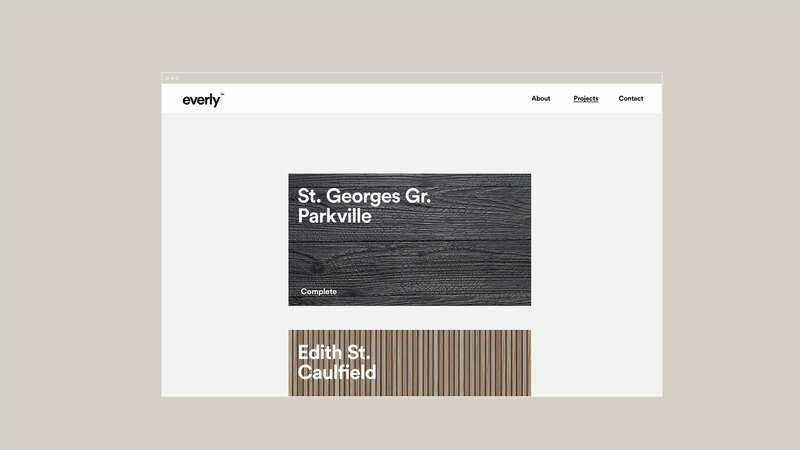 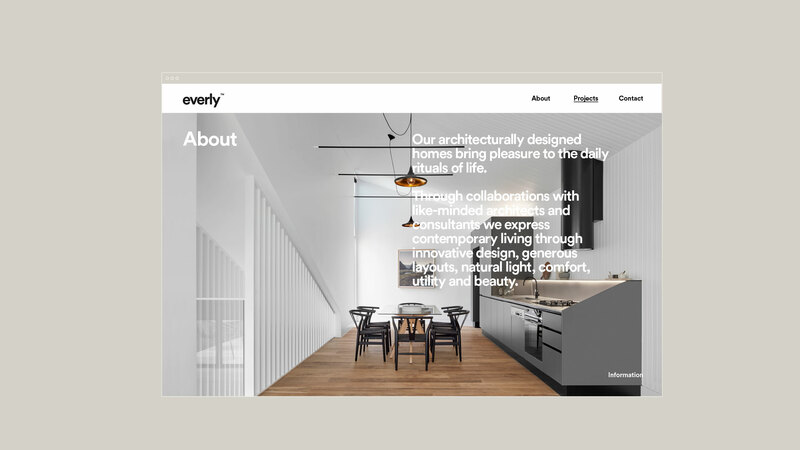 The Everly website was an opportunity to communicate the business’s philosophy and serve as a platform to showcase new and completed projects. 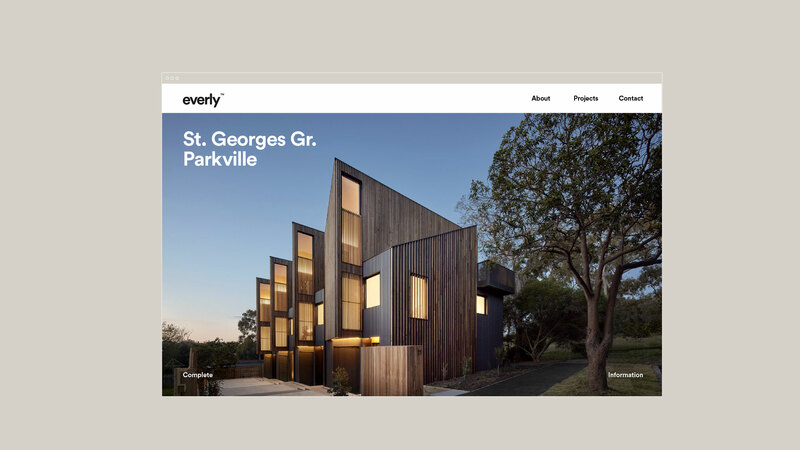 We designed a clean, flexible layout system that allowed the projects to speak for themselves unhindered by excessive branding. 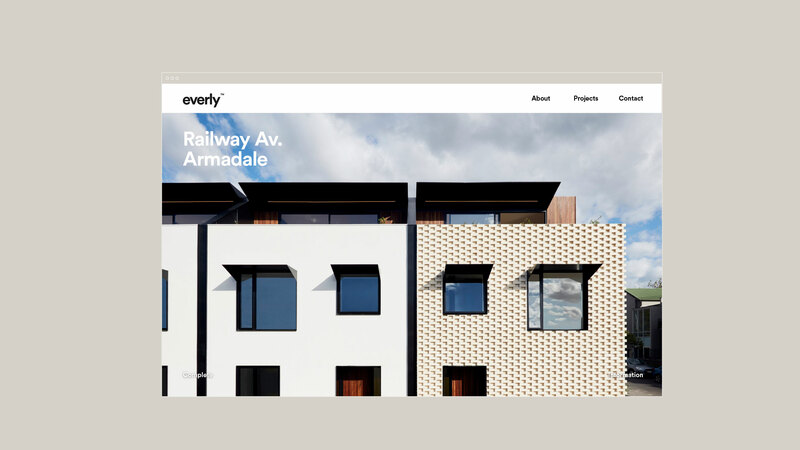 The end product was a robust, fully responsive website that has become a valuable asset for the business. 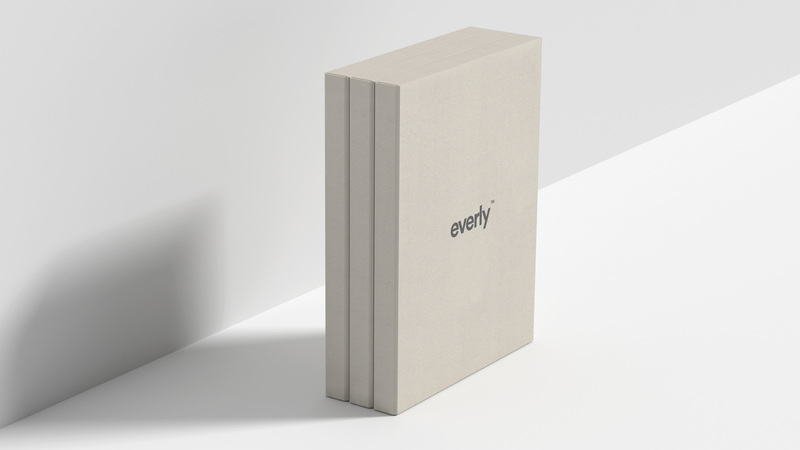 To reflect the brand ethos, we directed a photography campaign to complement the launch of the brand and establish a strong philosophical basis for the business. 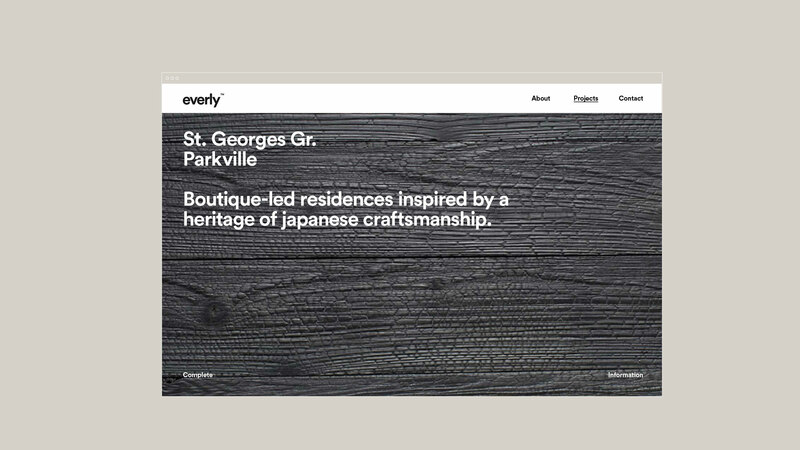 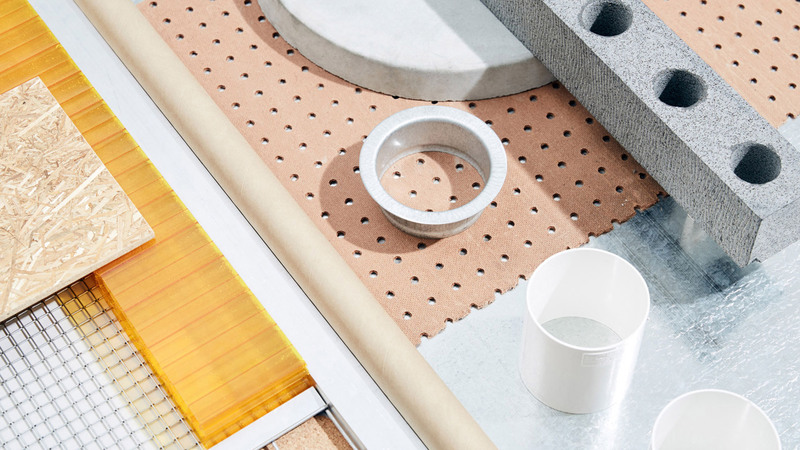 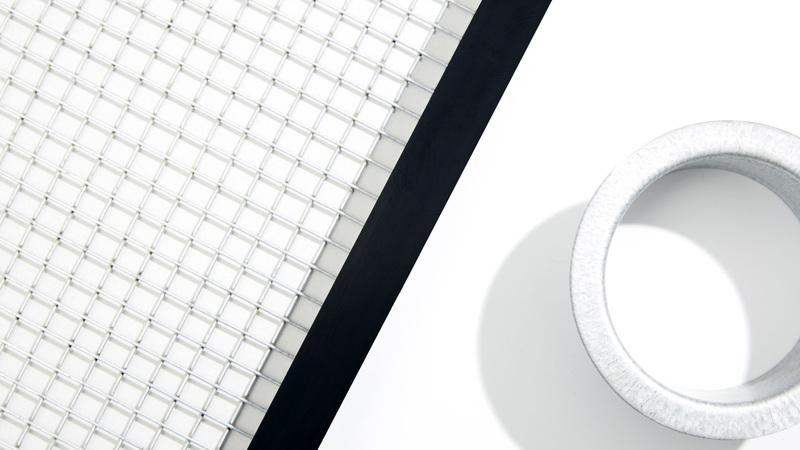 Alongside a written business ambition, the images articulated Everly’s passion for design, innovation, craftsmanship and construction.